Home |Thanks for stopping by! 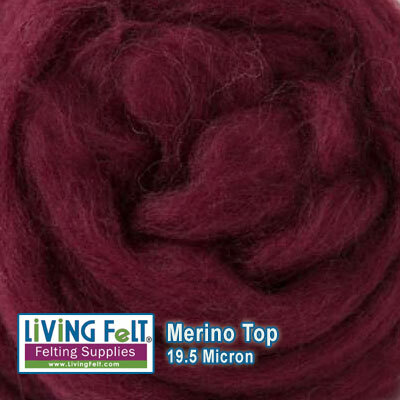 Lovely 19.5 micron merino top, perfect for your wet felting projects and also some needle felted projects. Try this for your felted purses, felted and nuno felt scarves, wet felted hats, and other next to the skin or fine felt creations. We will never sell or share your info.